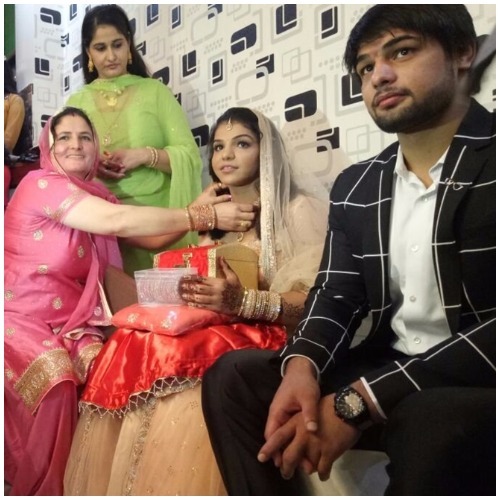 The star of Rio, Sakshi Malik, who did the nation proud by winning the first medal at the 2016 Olympics, is all set to start a new innings of her life. 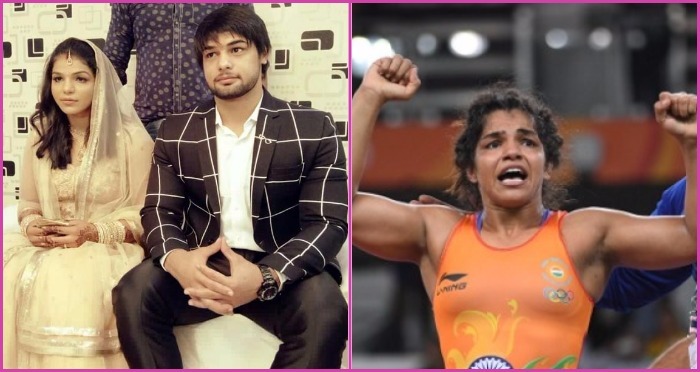 The bronze medal winner champion just got engaged to her long-time boyfriend Satyawart Kadian, who also happens to be a wrestler. Is this a real life ‘Sultan’ story? Well, maybe. 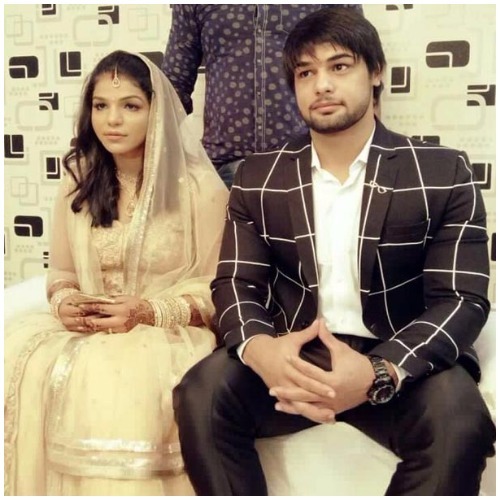 While Sakshi looked pretty in gold, Satyawart was simple in the black and white outfit he adorned during the private ceremony attended just by the families in Rohtak. Satyawart and Sakshi’s love story bloomed when they met at the akhada that is run by Sakshi’s father. Not many know, but Satyawart is 22, just two years younger than a 24-year-old Sakshi. Their families always supported their relationship, and hence the engagement. However, when asked, marriage is not yet on the cards. As per Sakshi’s father, both she and Satyawart are currently focusing on their careers, i.e. wrestling, and marriage will be thought of when they can wiggle out of their extremely busy schedules, which are right now jammed with tournaments. Well, this really sounds like the story of the Salman Khan starrer blockbuster ‘Sultan’. We only wish that their life is not as dramatic, and both husband and wife continue to win our country laurels, and make us proud. Sakshi and Satyawart, a very hearty congratulations to you! May you have a beautiful life ahead.